The 2 week course starts on Tuesday 19 March, 9:30am-12:30pm at Orange Box, 1 Blackledge, Halifax HX1 1AF. 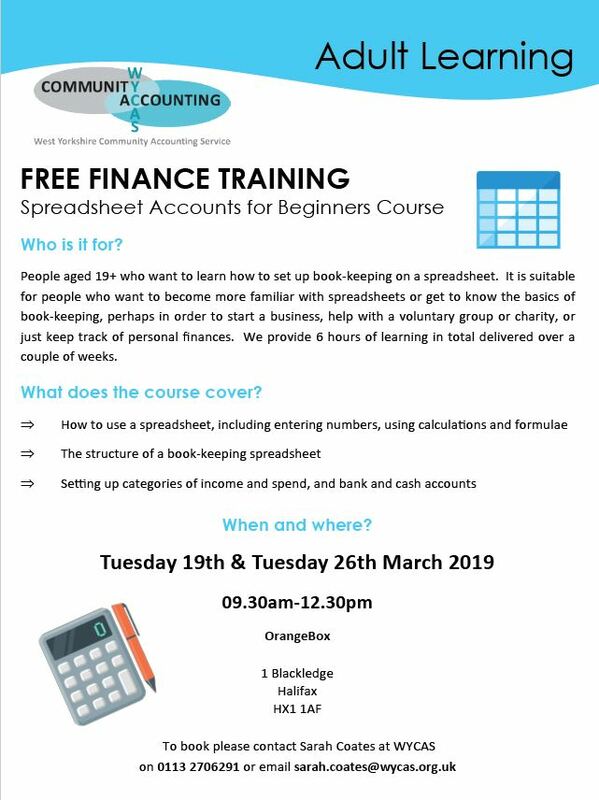 It is for people aged 19+ who want to learn how to set up book-keeping on a spreadsheet. It is suitable for people who want to become more familiar with spreadsheets or get to know the basics of book-keeping, perhaps in order to start a business, help with a voluntary group or charity, or just keep track of personal finances. This entry was posted in Events, Mar and tagged Orange Box, WYCAS.